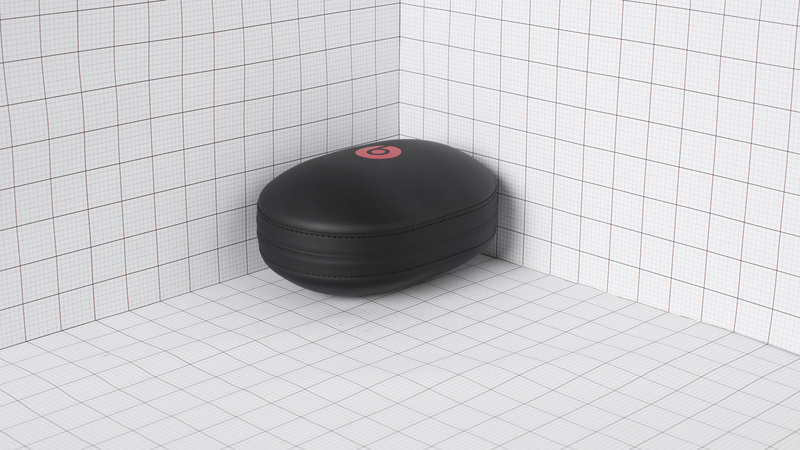 The Beats Studio 3 are above-average for a lot of use cases. They have the same stylish and polished design of the previous Studio Wireless but with an improved noise cancellation performance. Their audio reproduction and ANC automatically adapts to the listener and the environment which is a great feature when done right but can sometimes be a bit inconsistent. Stylish and sturdy wireless design. 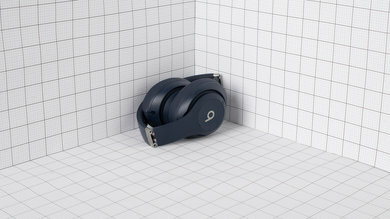 The Beats Studio 3 Wireless have the same well-built and eye-catching, wireless design of the Studio Wireless. They have a slightly better control scheme that lets you switch off the noise cancellation but apart from that, everything else is pretty much the same. They have a super comfortable fit that's just tight enough for running and working out, although they will make your ears a little warm during exercise. The Studio 3, like most of the Beats lineup, have a slick look that doesn't feel cluttered. 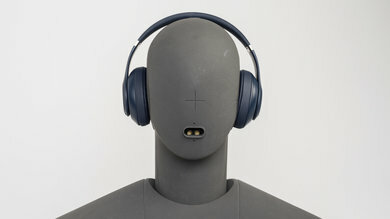 The buttons are discrete and seamlessly blend with the design of the ear cups. 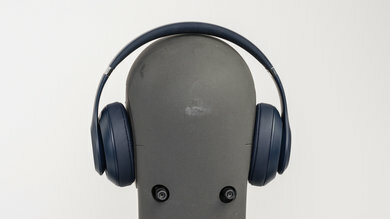 They also don't feel bulky despite being a full-sized over-ear headphone. They're an eye-catching pair of headphones that also come in a variety of color schemes to better match your tastes and preferences. 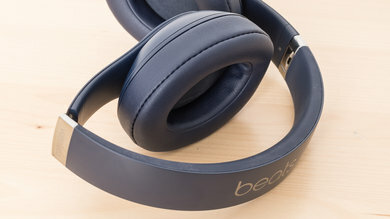 The Beats Studio 3 are comfortable and lightweight over-ear headphones. The ear cups are very well-padded and large enough to fit comfortably around most ears. 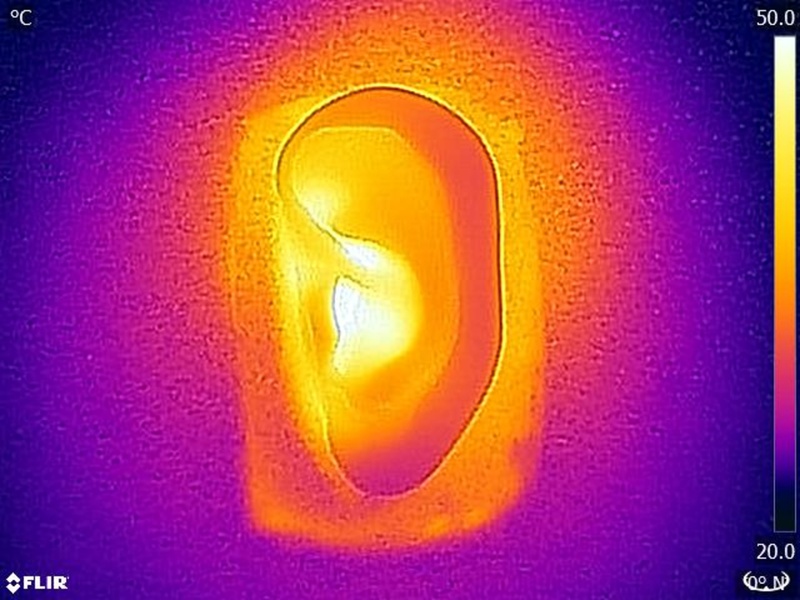 This makes their slightly tight fit a bit better as the pressure is evenly distributed around your ears. The headband is not as well-cushioned as the ear cups and feels slightly rigid but shouldn't be much of an issue. 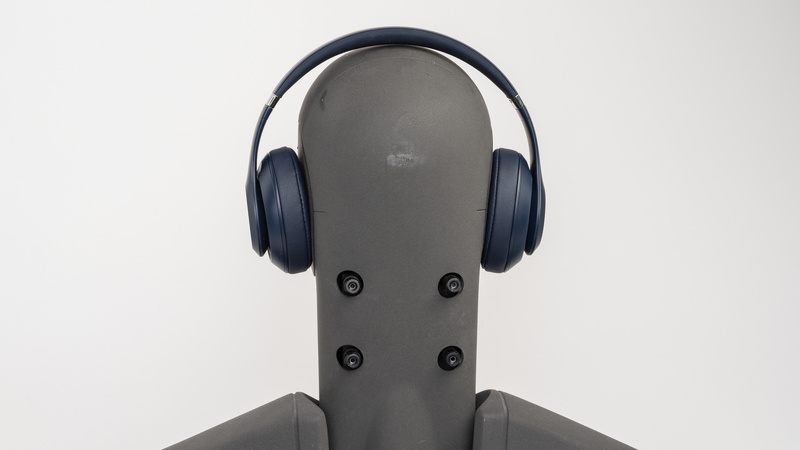 You can easily wear these headphones for hours at a time and not feel any fatigue. The Studio 3 have a slightly improved control scheme compared to the previous model. You can now switch off the noise cancellation by double tapping the Power button. The rest of the control scheme, however, is pretty much the same. They have an identical button layout that's simple and efficient to use. They provide call/music, track skipping, and volume controls. The buttons deliver good tactile feedback although they're completely flat on the ear cup which might be a bit difficult to distinguish at first. The Beats Studio 3 Wireless will make your ears fairly warm during exercise. They are closed back over-ears with a decent seal, so they trap a lot of heat which will make you sweat after 30 to 40 minutes of vigorous exercise. They should be okay if you're just using them casually to listen to music. They won't be the ideal headphones for more intense work-out routines, although if you want over-ear headphones for the gym, they're a decent option. These headphones have a mid-sized, over-ear design that's somewhat portable. They fold into a more compact format that's easier to transport with the provided hard case. They will fit into purses and smaller bags or can be hooked on your person provided they're in the case. However, they're still a bit too cumbersome. These headphones come with a sturdy and compact hard case that will protect the headphones against scratches, mild water damage and falls. 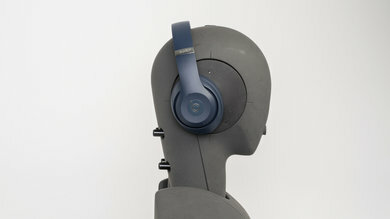 The Beats Studio 3, like the previous model, are well-built sturdy-looking headphones. The plastic used for the ear cups feels dense and won't get damaged from a few falls. The headband has a metal frame that's tough yet flexible. They're a bit thinner and less robust than the Beats Executive and the plastic coating on the headband is prone to scratches and scuffs, but their overall build quality feels high-end and well made. The Beats Studio 3 have a comfortable and tight fit that makes them stable enough for working out and exercising. They don't move much when running and since they're wireless, they won't accidentally fall off your head because the audio cable got hooked on something. However, they're still somewhat big over-ear headphones so they will slide a bit depending on the intensity of your work out routine. Lying down, for example, may cause the headband to tilt a bit. 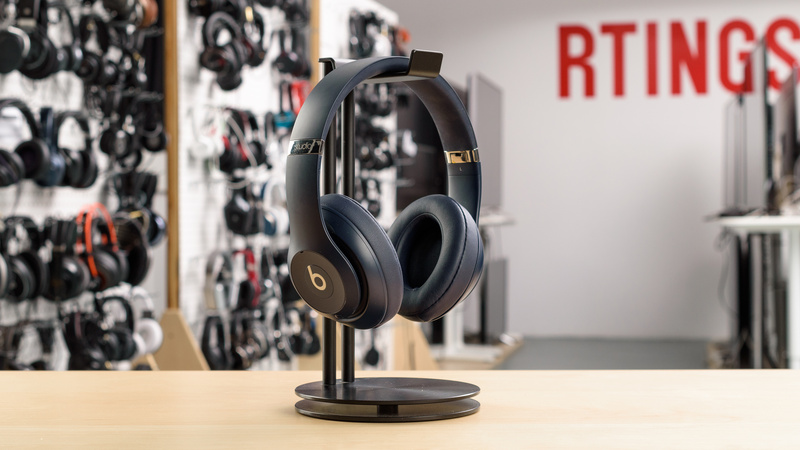 The Beats Studio 3 Wireless come with a 1/8" TRRS audio cable with an inline remote and USB charging cable. The Beats Studio 3 Wireless is an average-sounding pair of closed-back over-ear headphones. They have a deep bass with adequate thump and punch, a good mid range, and a good treble which is a bit veiled. However, their bass sounds slightly boomy, and their mid-range is cluttered and muddy, making vocals and lead instruments sound too thick. Also, like most other closed-back headphones, they don't have a large and out-of-head soundstage. The bass performance of the Beats Studio 3 is very good. Sub-bass (low-frequency extension) is extended down to 19Hz, which is good. This indicates that these headphones can produce a good amount of thump and punch. Mid-bass is over our target by about 2.7dB, adding a bit of excess punch to bass and kicks. The 3dB bump in high-bass makes the sound of these headphones slightly boomy. Also, their bass delivery varies noticeably across users, and is sensitive to the quality of fit, seal, and whether you wear glasses. The response here represents the average bass response and your experience may vary. The Beats Studio 3 Wireless have a good mid-range. Mid-mid and high-mid of virtually flat and within 1dB of our target. However, the 5dB bump in low-mid makes the mid-range cluttered and muddy. Overall, the mid-range is quite well-balanced in the mid and upper regions, but because of the low-mid bump, vocals and lead instruments tend to sound a bit thick on them. The treble of the Beats Studio3 Wireless is quite good. The overall response is well-balanced but slightly inconsistent. Also the dip around 5KHz will have a small but noticeable negative effect on detail and presence of vocals and lead instruments. Overall, the treble sounds good but slightly veiled. The Beats Studio 3 have a mediocre frequency response consistency. Despite their noise canceling and self-calibrating systems, the Studio 3 perform less consistent than other noise canceling headphones such as the MDR-1000X, WH-1000XM2, and the QuietComfort 35. They show about 6dB of deviation both in the bass and treble ranges and are somewhat prone to a drop in bass if the user is wearing glasses. 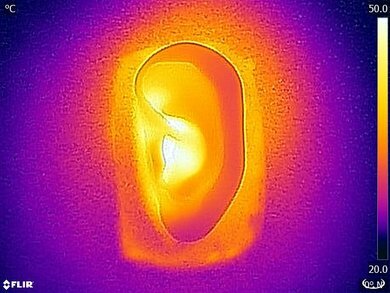 The stereo imaging is about average. Their weighted group delay is at 0.53, which is below average. In the graph, most of the spikes in group delay, which are caused by the auto-calibrating system, are mostly below 20Hz, which shouldn't affect the sound significantly. However, some of the spikes happen in the audible range which could make the bass of the Studio 3 a bit loose, at least when auto-calibration is happening. We also measured some phase mismatch between the L/R drivers, which could have a small negative effect on the coherency of their stereo image. The soundstage is sub-par. 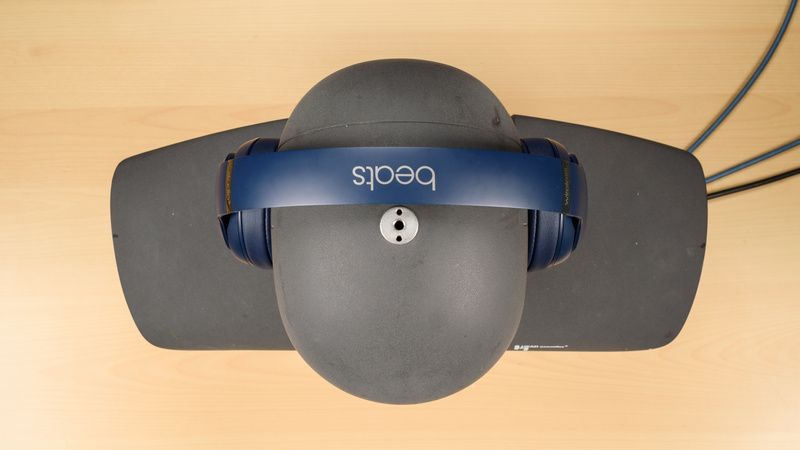 Based on our PRTF test results, the Beats Studio 3 Wireless don't seem to be activating the resonances of the pinna (outer ear) significantly, which results in a small and inside-the-head soundstage. 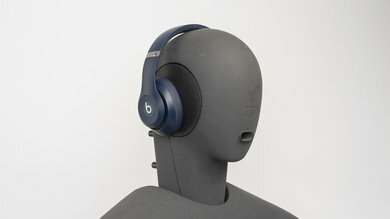 Also, since they are closed-back, their soundstage will be perceived as less open, compared to open-back headphones. The harmonic distortion performance of the Beats Studio 3 Wireless is average. The overall amount of harmonic distortion is slightly elevated, especially in the sub-bass range. This could be partially caused by the Studio 3's self-calibrating system. On the upside, there's not a big rise in THD at 100dB SPL compared to 90dB SPL. The Beats Studio 3 Wireless have an adaptive noise cancellation feature that's better than that of the Studio Wireless. It scales according to the noise level around you, which makes them suitable for commuting, although the adaptive process is not always consistent. On the upside, it should be good enough for most public transit and since they barely leak you can turn the volume up to mask some of the ambient noise and chatter. 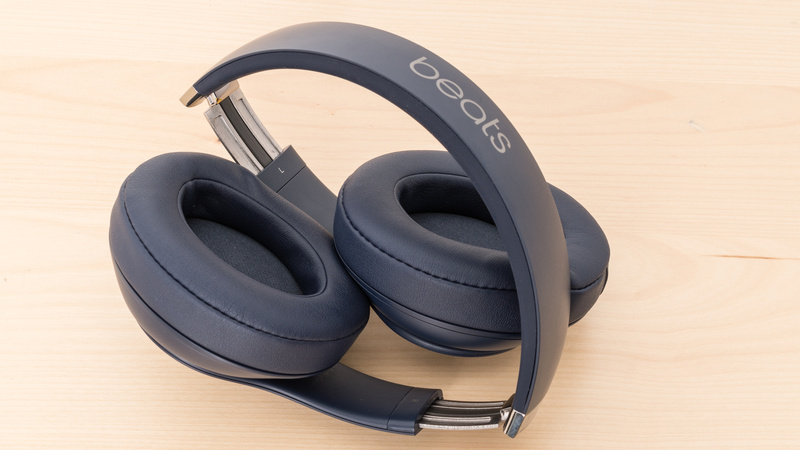 The Beats Studio 3 Wireless have average isolation that isn't as good as competing models like the Sony WH-1000XM3 Bose QuietComfort 35 II or the Microsoft Surface Headphones. The active noise cancellation of the Studio3 achieves a mediocre 8dB of isolation in the bass range, which is important for canceling out airplane and bus engine rumbles. However, they achieve 22dB and 36dB of isolation in the mid and treble ranges respectively, both values being quite good. This indicates performance good isolation for speech and sharp sounds such as S and Ts. However, they also produce a relatively high amount of self-noise which could be distracting when no audio is being played through the headphones. The leakage performance of the Beats Studio 3 is very good. The significant portion of leakage sits between 2KHz and 5KHz which is quite a narrow range. 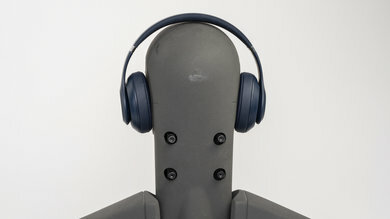 The overall level of leakage is also low, making these headphones suitable for most situations unless the music is turned up very loud in a quiet environment, like an elevator. The performance of the Beats Studio3's integrated microphone is mediocre. Speech recorded will sound a little bit thin and noticeably muffled. They will also have difficulty separating speech from noise in moderately loud environments such as a busy street. The Beats Studio 3's mic has a mediocre recording quality. With the LFE at 281Hz and HFE at 3.5KHz speech recorded with this headphone will sound slightly thin and lacking in presence and detail. However, the area between LFE and HFE is relatively flat. The microphone is sub-par at noise handling. The microphone on the Beats Studio 3 Wireless achieves a SpNR of only 10dB, which is sub-par. This makes them unsuitable for use in moderately loud environments. The Beats Studio 3 have about twice the battery life of the original Studio wireless, which should easily last you the whole day. In the worst case scenario, a quick 10-minute charge gets you about 3 hours of playback, which is great if you forget to charge them overnight. However, like most of the new Beats headphones released by Apple, they have the W1 chip which provides a few extra features on iOS. Unfortunately, it's not a fully-featured app so you don't get customization options like an EQ or Room effects. This makes these headphones less optimized for Android users. The battery performance of the Beats Studio 3 is much better than that of the studio wireless. They have almost twice the battery life at 23 hours of continuous playback on a single charge. They also only take about 30 mins more than the previous model to fully charge. That plus their quick charge feature which gives you about 2.5 hours of playback from a 10 mins charge means you will likely have enough battery to last you all day even if you're a heavy user, and in the worst case scenario, you can always charge them quickly before leaving your house or work. Unfortunately, they do not have any passive playback so if the battery is completely dead you won't be able to use the headphones, which makes sense since their audio reproduction is adaptive. Like the Beats Solo3 Wireless and the AirPpods, the Studio 3 have a few features available on iOS that aren't as well implemented on Android. They connect with a pop-up that displays basic battery information and you can also disable the noise cancellation if you go to the Bluetooth settings of the headphones. This setting isn't available on Android so Android users may feel a bit limited but you can always manually switch of noise canceling by pressing the power button twice. 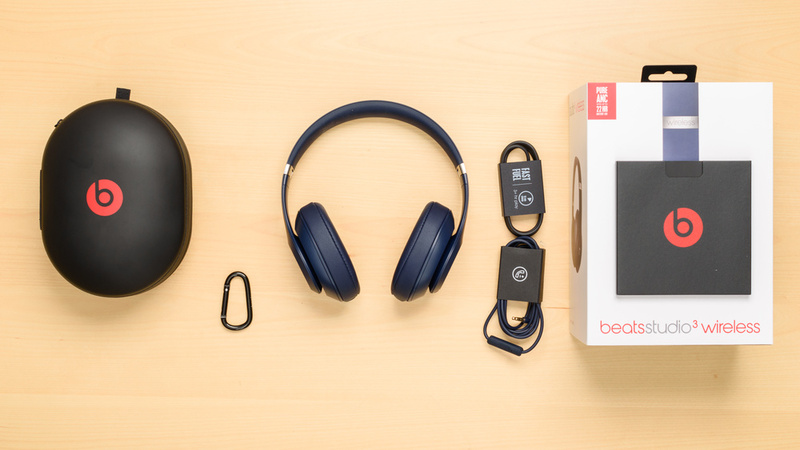 The Beats Studio 3 Wireless connect wirelessly via Bluetooth and also come with an iOS audio cable with an inline mic that is compatible with the PS4 but not the Xbox One. On the upside, the addition of the W1 chip almost doubles the wireless range of the original studio wireless, which makes them one of the furthest reaching wireless headphones we've measured at approximately 300ft in direct line of sight. Unfortunately, the new adaptive sound processing adds a bit more latency, so they're a bit less suitable for watching videos than the previous model. 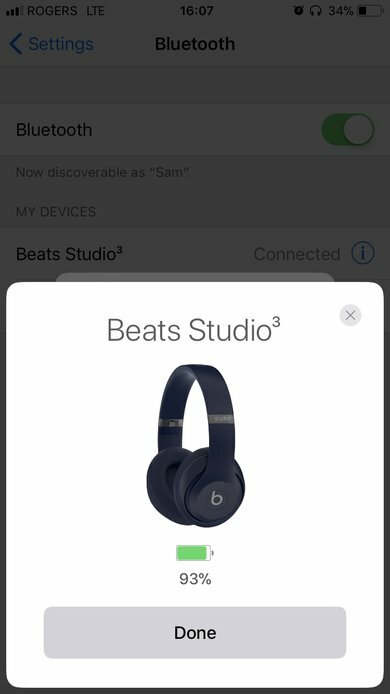 The Beats Studio 3 connect wirelessly via Bluetooth but cannot pair simultaneously with multiple devices. They also do not have NFC support. On the upside, they are much easier to pair than the Original Studio Wireless. These headphones come with an iOS-specific cable with an in-line remote microphone that's compatible with the PS4 but not the Xbox One. 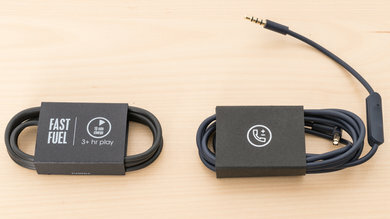 This gives them a secondary connection option, which is better for watching videos due to the almost negligible latency when using an audio cable. They do not have a base/dock. If you want a versatile headset with a base that you can also use wired check out the SteelSeries Arctis 7. They have a phenomenal wireless range. They will easily maintain a stable and reliable connection up to 50ft when indoors and the source is obstructed and do even better even better in direct line of sight reaching up to 297ft which is more than enough for most outdoor activities. It is of the best wireless ranges we've measured for any Bluetooth headphones. The latency is a bit worse than the Studio Wireless. Both headphones have enough latency that videos are a bit out of sync but this will be a bit more noticeable on the Studio 3s. They perform a bit better on iOS devices but won't be the ideal headphones for gaming or home theater. On the upside, they should be fine for most music and streaming applications. The Studio 3 Wireless are the updated version of the Studio Wireless design. They have better isolation thanks to their adaptive noise canceling, they have an above-average sound quality and a comfortable over-ear fit. However, their dynamic audio reproduction tends to sound a bit inconsistent at times and they do not isolate better than some of the other headphones they are often compared to. See our recommendations for the best wireless over-ear headphones and the best closed-back headphones. 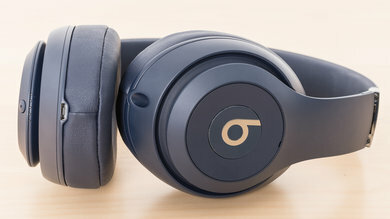 The Beats Studio3 Wireless are somewhat better headphones than the Beats Studio Wireless. They have the same stylish and polished design, but the Studio3 Wireless have a better control scheme and improved noise cancelation. They sound quite similar, but the Studio3 Wireless sound slightly better overall. The Studio3 Wireless also have a much better battery than the Studio Wireless and feature the W1 chip for improved ease-of-use with Apple devices. The Studio Wireless have better latency and microphone noise handling performance, though. They’re both decent headphones for most uses, but the more intuitive pairing process and control scheme of the Beats Studio3 Wireless gives them an edge. The Sony WH-1000XM2 are a better wireless over-ear than the Beats Studio3 Wireless. The Sony have a better noise cancelation performance, which makes them a bit more suitable for commute and travel than the Studio3s. They also have a lot more features and customization options that you can tweak thanks to the Sony Headphones app. They have a slightly more polished design that looks and feels more high-end than that of the Beats. The Studio3 Wireless, on the other hand, have a more stylish looking build quality that some will prefer over that of the Sonys. They also have a faster charge time a longer wireless range and slightly better latency performance, especially on iOS devices. The Beats are also a bit more lightweight, comfortable, and stable for the gym compared to the Sonys. The Sony WH-H900N have similar performance to the Beats Studio3 Wireless. The Sonys have better-balanced default sound quality and more customization options, thanks to their companion app. They also have a sleeker-looking build quality that feels a bit more high end than the Studio3s. The Beats, on the other hand, have a slightly stronger noise isolation performance and lower leakage. They also charge a lot faster and have a greater wireless range than the Sonys. They're more stable for the gym, and a lot more comfortable for most users, with easier-to-use controls and a cool-looking design that most will prefer over that of the Sonys. The Plantronics BackBeat Pro 2 are a better wireless over-ear than the Beats Studio3 Wireless. The Beats have a slightly better-balanced default sound than the Plantronics. They're also more comfortable, portable, and have a sleeker design that's stable enough for the gym and sports. The Plantronics, on the other hand, have a better wireless range and battery life than the Beats. They also have easier to use controls with more functionality, and they sound a bit more exciting thanks to their deep and powerful bass range. The Bowers & Wilkins PX have a fairly similar performance to the Beats Studio3 Wireless. The PX isolate a lot better in noisy environments than the Beats, so they will be a bit more suitable for traveling and commuting. They also have a better more premium looking build quality that most will prefer over the Beats. The Beats, on the other hand, have a more consistent sound than the PX despite their adaptive audio reproduction. They also have a sleeker over-ear fit that's more comfortable and a bit more suitable for physical activities than the PX. The Beats also have a longer battery life and charge a lot faster, making them slightly more practical for everyday casual use. 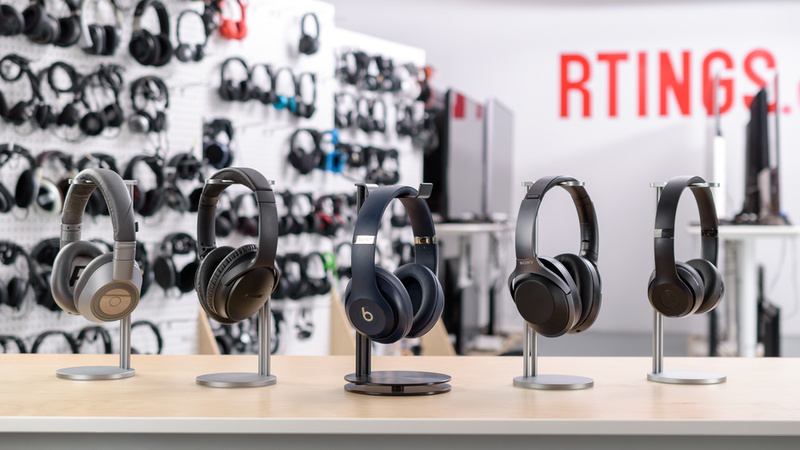 The Microsoft Surface Headphones are better headphones for bass fans, while the Beats Studio3 Wireless have a more neutral sound quality with a not-so-veiled treble range. The Microsofts have a better and more complete control scheme that is satisfying to use. The feedback is better on the physical buttons of the Beats, but you get limited controls. Also, the Surface Headphones have better noise isolation performance but have about half of the Studio3’s battery life. The Beats Studio 3 are above-average mixed usage headphones. They look great and have a simple-to-use design that offers a good control scheme and a comfortable fit. The noise canceling is a lot better than on the original Studio wireless, although it can be a bit inconsistent at times. This is also true for their adaptive sound quality that's decent but not as balanced as the Solo 3. Above-average for critical listening. They have an audio reproduction that adapts to each listener. However, through our measurement averages, the Studio 3 tend to have a bit more high bass and low mids than the original Studio Wireless. This gives them less thump and rumble and a slightly muddier sound quality. They're still sufficiently well balanced to satisfy most listeners, however, the somewhat inconsistent audio reproduction and poor soundstage due to their closed design mean they won't be ideal for more critical listeners. Above-average for sports. They're comfortable and stable enough to exercise with. They're also wireless with a great range so you can leave your phone on a bench while you run or have a fixed Bluetooth source like PC if you're at the gym. However, they will get your ears a bit warm and sweaty after a good 30 minutes of working out. If you need a more sports-oriented headset and like the beats'design then check out the Powerbeats 3 Wireless. Good for office use. They're comfortable, have a decent noise isolation performance and really low leakage. This means they will rarely be distracting to those around you and block enough chatter for moderately noisy office. Mediocre-at-best for home theater. The Beats Studio 3 have a lot of latency so they won't be ideal for watching videos but they have a decent sound and a great wireless range. They're also very comfortable and come with a good audio cable if you want to use them wired. However, the cable is relatively short so you may need an extension cord. Below-average for gaming. They're comfortable, have a great range, and easy to use controls but the latency will be a deal breaker for most. They also have no customizable options and a mediocre at best microphone.